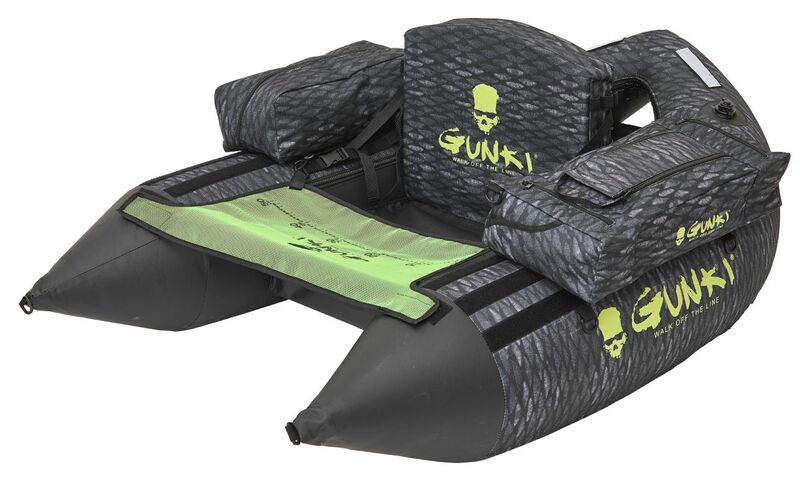 Gunki Squad Float Tube Belly Boat is new for 2018, with its streamlined V shape, comfortable seat and excellent buoyancy the Gunki Float Tube makes moving on water very easy. Exceptionally stable you can get into the best fishing spots quickly. It is incredibly manoeuvrable yet discrete in the water. Finished in a camo-fish colour and removable Velcro reflective security bands for extra discretion when required. The Gunki Squad Float Tube Belly Boat is ideal for those who want to get to places others can't!!! If your looking something smaller check out the Gunki Furti-V Float Tube.